Whilst the great British winter is a relatively mild experience compared to other countries, we’re still subjected to snowy and, increasingly, waterlogged and windy conditions. Perhaps because our winters are relatively mild, it only takes a sudden blizzard or storm to catch us out. So here’s a timely reminder of how to get by until the spring comes to rescue us from inclement conditions. Unless your car is serviced before the winter, it’s possible that it could be low on fluids, so now’s a good time to find out where to top up essentials including washer fluid, coolant and oil. 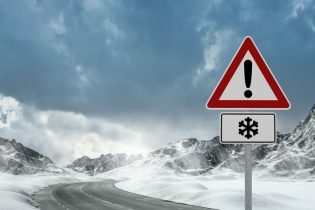 A car that operates fine in normal conditions may struggle in extreme cold if it’s running low, so make sure this doesn’t happen on a long journey miles from home. Worn and incorrectly-inflated tyres can make winter driving difficult, whilst batteries can also struggle in cold winters, especially with heavy use of lights, windscreen wipers and heaters, so get it checked out – many high street garages can do this if you don’t have the right equipment. If you do a fair amount of driving in winter, then it’s worth considering changing to winter tyres, especially if you drive a rear-wheel-drive vehicle. Winter tyres use a different tread rubber compound and pattern that works at temperatures below 7 degrees C, when summer tyres lose their effectiveness. Bear in mind that you’ll need to change back to your regular rubber around spring time, but it could save money in the long run. If the worst does happen, you’ll want to be prepared. Keep some essentials in the boot including a tow rope, shovel, wellington boots and a torch (with fresh batteries) for getting out of snow drifts. And if you break down you won’t have use of the heater, so a blanket and extra layers of clothing are also strongly recommended. Whether you choose AA, RAC or any number of breakdown organisations, they’re worth the membership fee the moment something goes wrong – even brand new cars can fail. If you don’t already have one, check with your bank as many current accounts include basic roadside cover, and often new or second hand cars from dealers include this for a limited period. A broken down car also won’t be able to charge a mobile phone, and phone boxes are a rarity these days, so don’t rely on plugging in once you’re on the move, especially with a smart phone that can easily run a battery down in a day. Check travel websites, including Google Maps, AA, BBC etc for traffic updates as many roads can be affected for several days if there’s a weather-related issue. And traffic can quickly build up in poor weather. It’s also worth making sure you have at least half a tank of fuel at all times in case of delays. We’re all used to clearing a frosty windscreen, but don’t assume that a small circular patch in front of the driver’s seat will do. 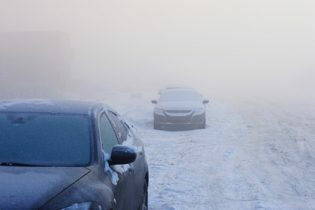 Clear all screens of frost and give the demisters time to do their work before pulling away, but if you’re parked in an enclosed space such as a garage, make sure there is somewhere for the exhaust fumes to escape. If your car is covered in thick snow, don’t just clear the windscreens, get rid of any covering on the roof, bonnet and bootlid, otherwise it’ll fall off on the road and endanger others or flick up onto the windscreen. Don’t forget to clear lights either and as dirt builds up easily at this time of year, ensure all lights and numberplates are clean. It’s an offence to drive with covered lights and registration numbers. Smooth driving is the order of the day in wintry conditions. Don’t accelerate aggressively, brake or change direction suddenly, especially if there is snow or ice on the roads. The same applies for standing water from heavy rain, which can also ice up overnight. Bear in mind that road conditions are usually greasy throughout the day as even on bright days the sun isn’t powerful enough to dry tarmac. Leave big gaps to traffic ahead as braking distances significantly increase in slippery conditions. You should also try to avoid stopping as it’s harder to get going on snow and ice. When you do get going, keep the revs down to reduce wheel spin and try to take the flattest route possible in snow to avoid getting stuck on hill climbs or sliding on descents. And leave the cruise control well alone – it can make wheelspin-inducing sudden accelerating movements to maintain speed. Winter journeys can take longer with traffic and conditions often conspiring to make a two hour trip take much more time. So make sure you’re fully refreshed and if necessary, prepare to make a break in the journey at a motorway services, for example. Even if you can drive well in the snow, not everyone else can, and even meticulously-maintained cars can fail, so don’t tempt fate. A nice warm house is far better than a cold journey, especially if you’re stuck with a broken down or damaged car.